類型：視像語言：英文分類：History，Current Affairs狀態：播放中 節目簡介： In the last few decades, China has been experiencing tremendous changes in its economy, society and infrastructure. 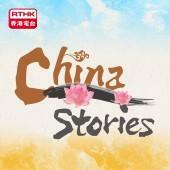 Each episode of “China Stories” shows audience China by presenting them with stories, characters and images, in the hope that they may understand what the Chinese think, do, and care about now. Leaders have dreams, but what about the dreams of the people?